Welcome back and thanks for visiting. You are here I am sure to view more diablo 3 exploits. Then you have come to the right place. We try to show you all of the bugs, cheats, exploits that we can find. The top one on the list right is the ability to have an endless spawn rate of mobs around you. This is absolutely great for D3 MF (diablo 3 magic find). And it is fairly easy to reproduce. (Beta Specific) – The wretched mothers spawn mobs also, so when moving around, keep these 3 alive. Now, what can you do with this besides MF? Well you can get some pretty amaizing achievements in the form of kill streaks. I’m sure you have seen the videos showing off 100-150 mobs being killed… what about one showing off 1000? Well look no further, in this video we show you how you can get a kill streak of over 1000 massacre kills by this amaizing diablo 3 cheat. Keep in mind that to get a kill streak this large you have to keep killing very showly but continusouly. You cannot use any AE attacks, as it will kill too many too fast. You have to kill and move at the same time working your way away and then back towards the spot where the mobs are crawling out of the ground. I hope you have enjoyed learning about this diablo 3 exploit, and keep checking back for more amazing diablo 3 tips and tricks. Welcome back, and thanks for tuning in for more diablo 3 mf brought to you exclusively for XUnleashed.com. D3 is all about MF. That is magic finding. 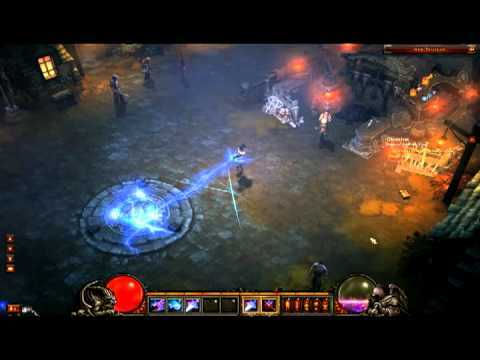 What keeps diablo 3 fans so intrigued with the game is the idea that every time they kill a boss mob they might find some really good gear to enhance their character. Unfortunately, this is a very time consuming process. Usually to repeat quests you have to restart the entire quest line. Specifically in the skeleton king you have to do several quests before the king before you can open the door leading to him. Starting a new game forces you to repeat all of these pre-quests. Fortunately, however, we found a way to drastically decrease the time between boss mob kills and thus enhance your diablo 3 MF. Here is how it works. When you have a quest like killing the Skeleton King, upon his death, the quest is finished, HOWEVER, if you leave the game before the final death animation, you can quickly restart the game and be right at the point before the skeleton king. This makes it super fast to farm boss mobs (only the skeleton king right now since its beta), but it is nevertheless a great diablo 3 exploit. If you like this diablo 3 exploit, be sure to always keep checking back for more great diablo 3 cheats and diablo 3 exploits. We want to be your number one source for all things diablo. 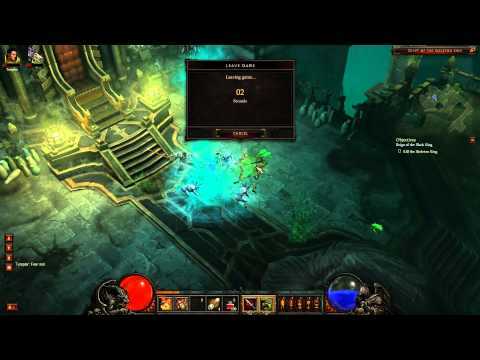 As promised, we bring you the first Diablo 3 exploit found. This exploit basically lets you get two attacks in the time it takes to do one. While this may not seem like much off hand, think of it this way, you can get double damage in the same time span. It also bypasses weapon delays, etc. It really is a very nice exploit. To summarize here is how it works. You put one skill on your left mouse button, and a second skill on your hotbar (ie key 1). You press the mouse button, and then immediately press the hotkey 1. Since the hotkey will take priority over the mouse, it will cause the attack animation to stop and start the hotkey attack. 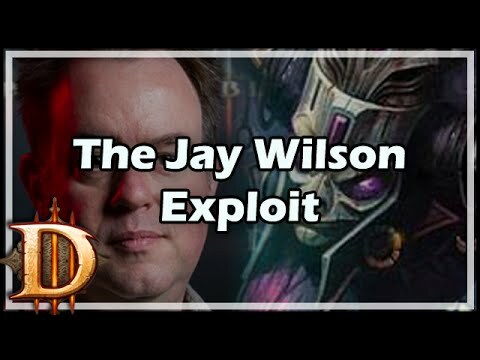 Full length explanation follows as well as a video showing off the D3 exploit on different classes. In diablo 3 (d3) the keyboard takes priority over the mouse. This allows an interruption in the normal game processing routines. In this particular case, animation cancelling. Using this technique, does have some caveats. 1) Animations are canceled allowing the character to spam spells drastically increased rate. 3) Channeled spells if cancelled will lock your character until your mana (hate, etc) is gone. Hotkey = Skills bound to the hotkey bar, but not in either LMB or RMB. Default keys are 1-6. 1) Attacks bound to a mouse button may be cancelled for an attack bound to a hotkey. 2) You cannot cancel a spell/attack with the same spell/attack. 3) Channeled spells are fubar atm, because if cancelled, it will still drain your mana pool until its gone. 4) You cannot use auto-attack to cancel because it can only appear on a mouse button. 5) Hotkey attacks cannot be on the mouse buttons or they will not work. 4) After Cleave’s damage has been dealt, press the hotkey for the 2nd attack. When you cancel the attack animation, you stop the recovery time. This causes the next attack to perform instantly . Thus you are attacking faster then you should be able too. 1) Before – The spell/attack has been started but it has not damaged the mob yet. 2) During – Damage is being delt. 3) After – Damage has been delt, and the player is back in the normal state. The player cannot perform any actions during this time. This begins just after the damage has been delt, until the player can attack again. 4) Cooldown (optional) – This is the period in which the player must wait before he can cast the spell again. 1) Before – The Barbarian draws his weapon back. 2) During – The swing takes place, and you see the red swipe effect. 4) Cooldown – Not all attacks and spells have cooldowns, in this case, the cooldown is added to the attack routine so it is not an instant effect but takes place over time. By cancelling an attack, you skip step 3. Lets take a closer look. Normally the Barbarian can do 1 cleave every second, or one bash every second. So in 10 seconds, he can get 5 cleaves and 5 bashes. However with the diablo 3 exploit for cancelling he can get 10 attack in 7.5 seconds!! !